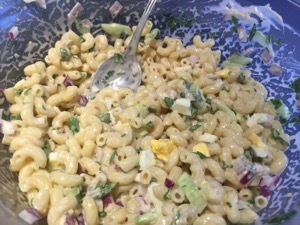 What do you want today: egg salad or macaroni salad? How about both! 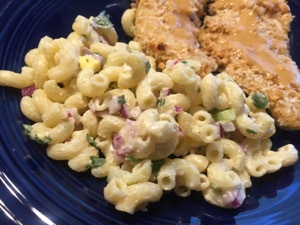 A take on the traditional macaroni salad that uses egg as well. 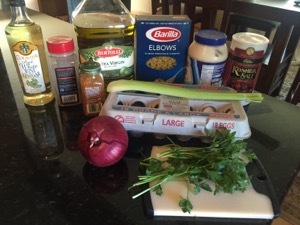 Your typical egg and macaroni salad ingredients. 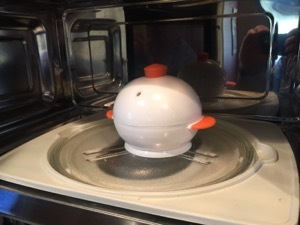 I used the Boiley microwave hard boiler as I only needed 1 egg. Soaking the red onions takes a little bite out of it. Egg or macaroni? Why compromise? 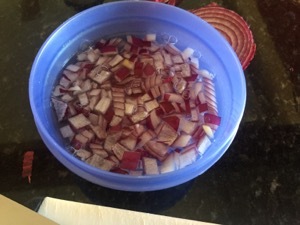 Soak 1/4 cup minced red onion in cold water, 10 minutes; drain. Cook 8 ounces elbow macaroni as the label directs; drain and rinse under cold water. 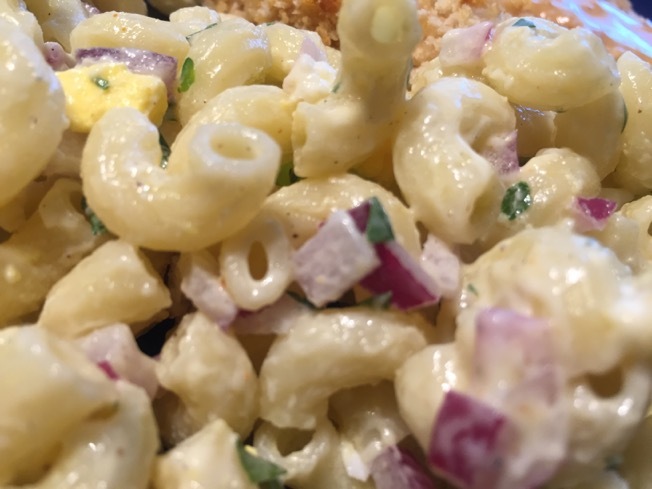 Toss the macaroni, onion, 1 chopped celery stalk, 1 chopped hard-cooked egg, 1/3 cup mayonnaise, a pinch of cayenne pepper, 1 tablespoon each olive oil and white wine vinegar, and 3 tablespoons chopped parsley. Season with salt and pepper. Looks yummy! I’ve never put vinegar and oil in my mac. salad – I’m gonna try that!! Who knew about soaking onions to take the sharpness out of it, and vinegar! I’ll be making it this wknd.